Enclosures International has been packing, moving, and storing heirlooms for families at cost-competitive prices since 1977. In handling heirlooms, we extend an extra level of care and attention due to their priceless nature and high sentimental value. With 40 years of experience working with objects of every size, shape and weight, we know how to take every precaution in handling even the most delicate of heirlooms. We are experts in handling a wide range of family heirlooms and antiques, such as furniture, jewelry, vases, clocks, and decorative pieces, and apply our years of training and experience to ensure that each item will be safely and securely transported. We carefully check every object for loose or delicate pieces or areas, and can engineer custom boxes or crates to protect your heirloom during transit. 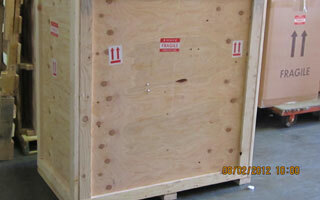 We also have a secure, warehouse for the short- or long-term storage of your cherished property. Call today for a free quote. They provide prompt estimates, with a breakdown of charges for various methods of transportation, which enables our clients to select the most economical means of shipping their purchases. As you know, we have high value items which are old and often rather fragile; therefore we appreciate the attention Enclosures gives to careful handling and expert packing . . .